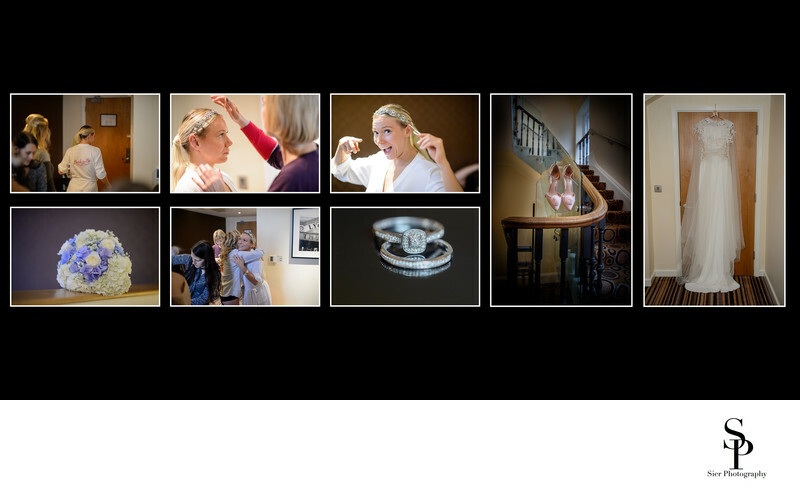 On this album page there are details of the Bride getting ready. Her shoes are artistically placed on the handrail of some sweeping stairs while her dress hangs ready to be worn at her wedding later in the day. Her m other helps her daughter on with a head dress as the bridesmaids are also in the midst of getting ready in the Bridal Suite at the Leopold Hotel in Sheffield.